You are looking at the east side of Cedar Avenue near 5th Street. On the far left is the "New Chili Time" restaurant. 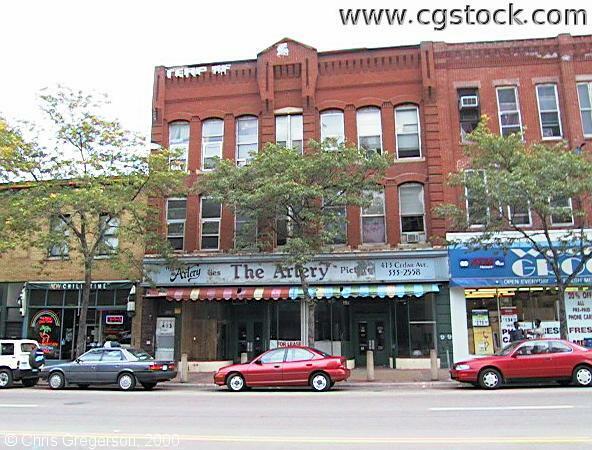 The Artery, an art supply store, is in the middle building. On the right is the West Bank grocery. The Cedars apartment buildings are behind you.